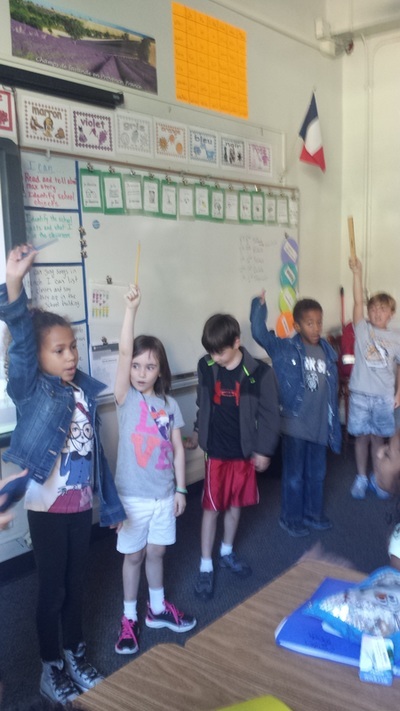 Students place school objects in the "sac à dos" as we sing the song. 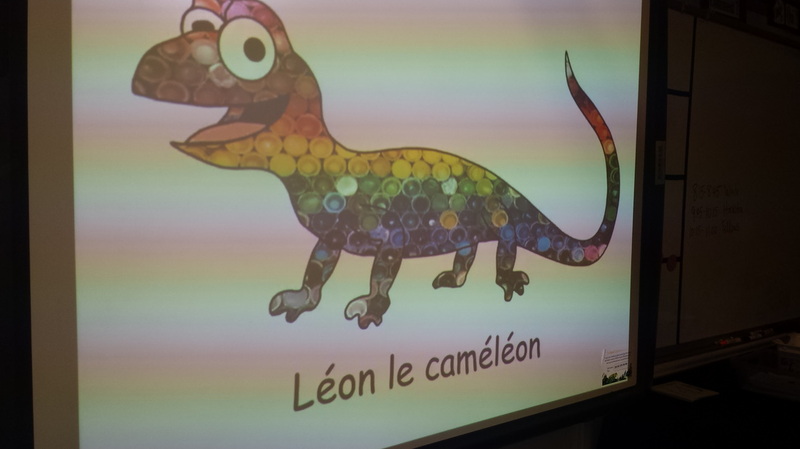 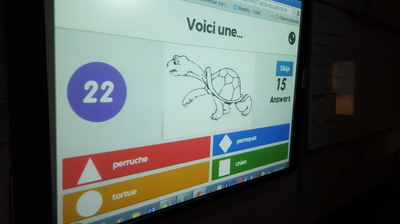 Watch and sing the Léon le caméléon song to review colors in French. 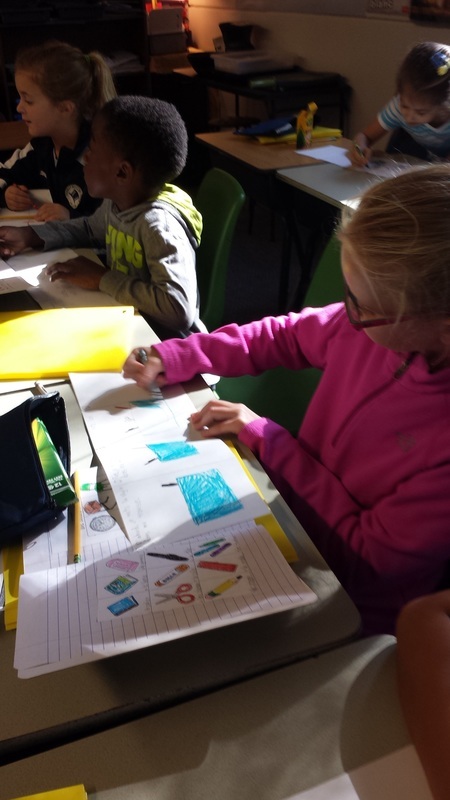 What goes in my pencil pouch? 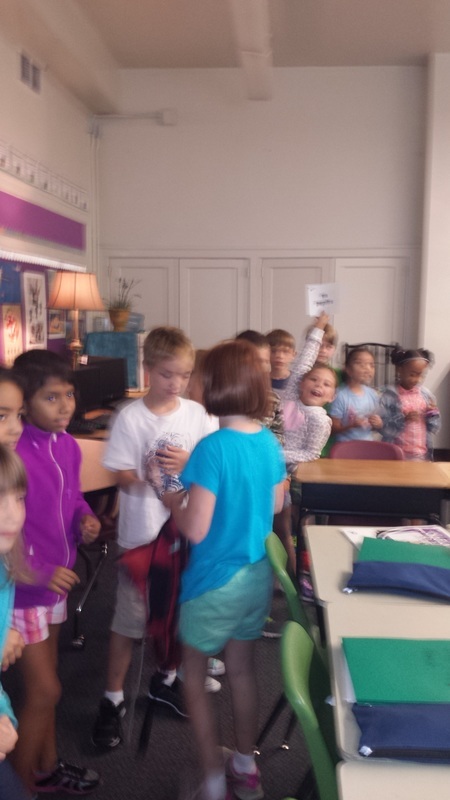 Singing "Dans ma trousse" song. 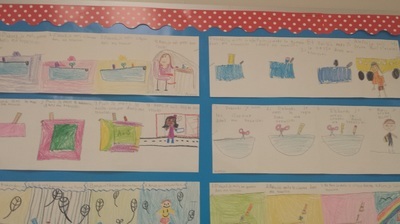 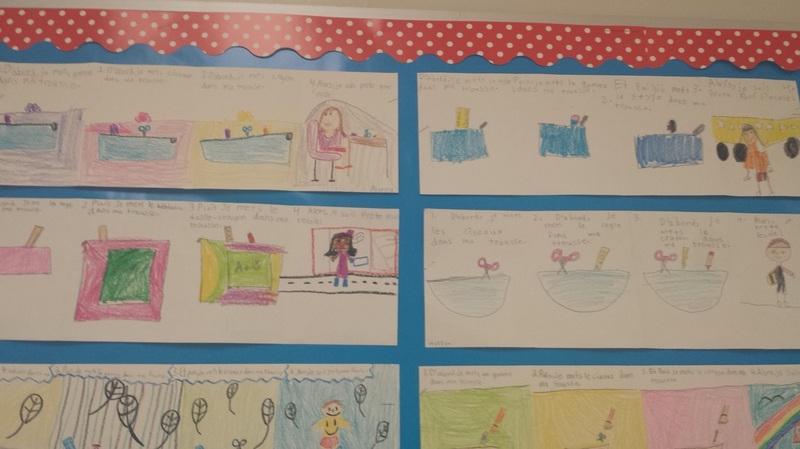 Working hard on sentences and illustrations. French class in the computer lab! 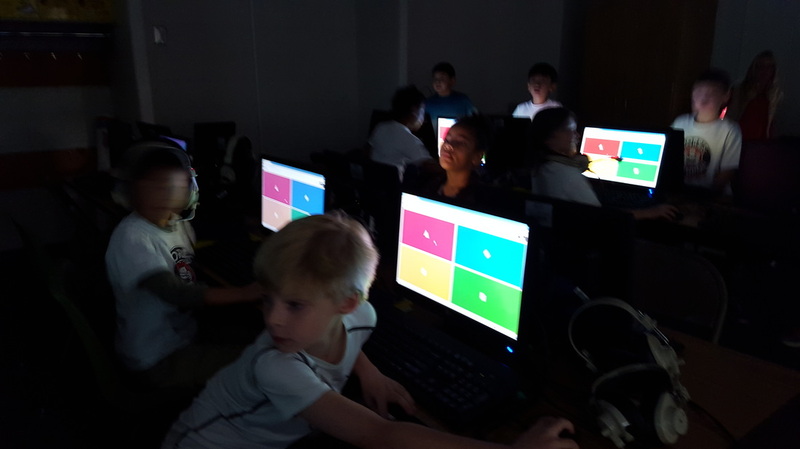 We are playing the very engaging game, Kahoot. 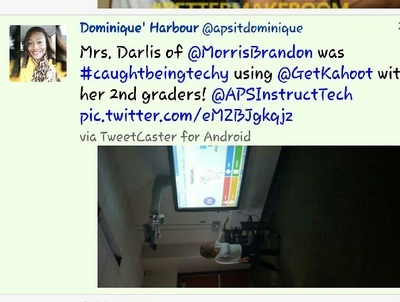 The APS educational technology specialist tweeted about my class! 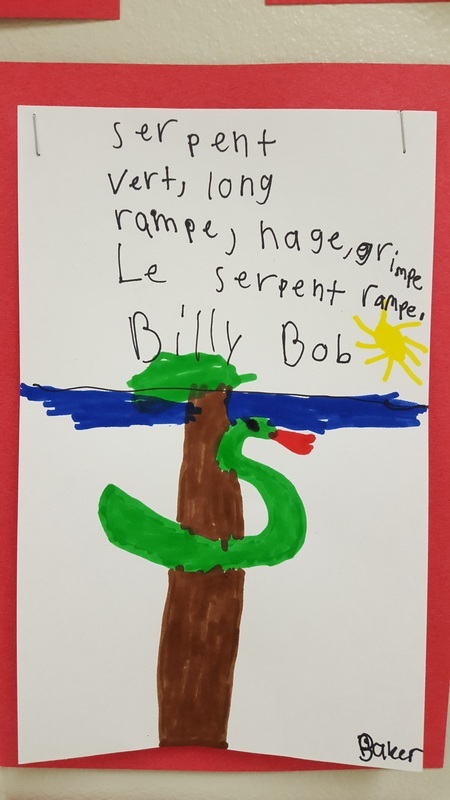 Cinquin poem, in French, about a snake. 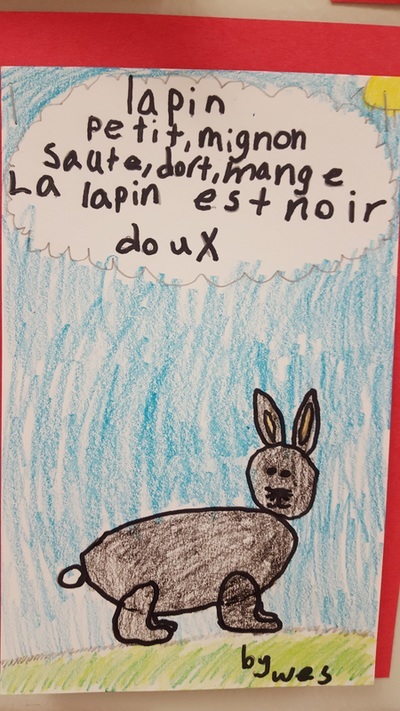 Cinquin poem, in French, about a rabbit. 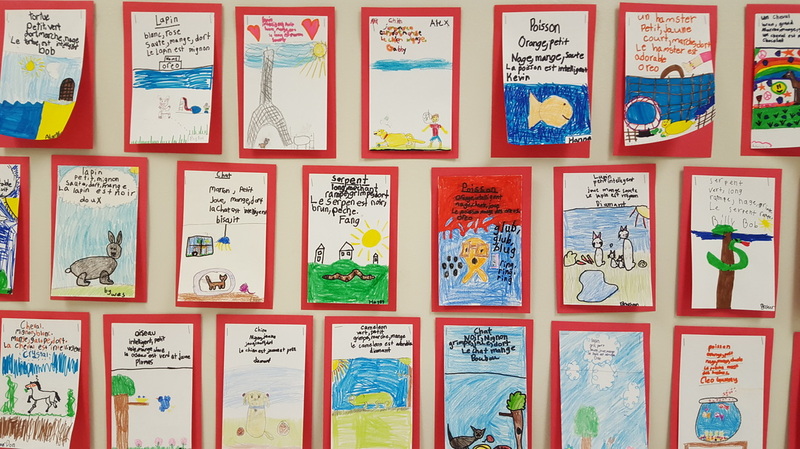 Bulletin board display. 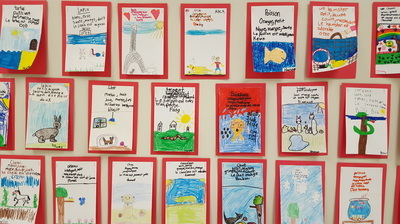 Such great artists!